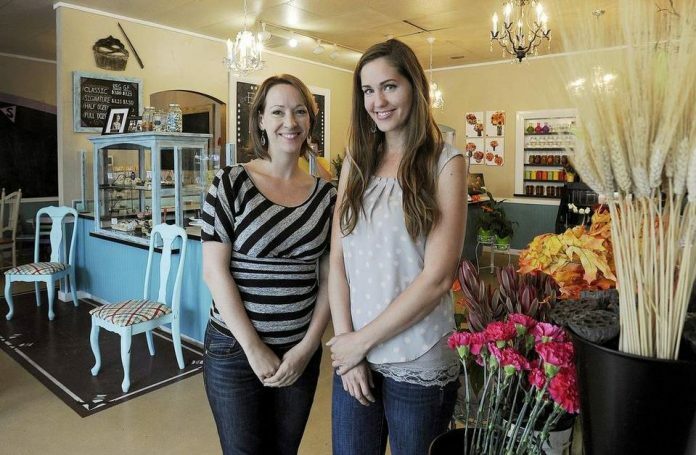 When Rachel Young, owner of Miss Moffett’s Mystical Cupcakes, and Michelle LaPraim, owner of Elle’s Floral Design, first met in early 2015, they had more in common than they knew. Nine years ago, two young single mothers in their twenties who didn’t know each other, faced similar challenges: low income, lack of resources, tumultuous relationships and the need for support. 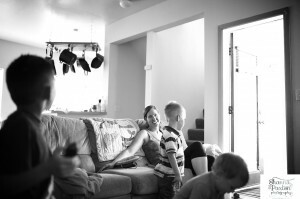 They individually sought out help to improve their lives and found an organization called the Nurse Family Partnership, a program housed within the Thurston County Public Health and Social Services office and connected with WIC (Women, Infants, and Children). 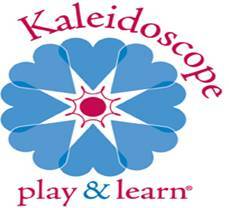 The program serves low income first-time mothers from pregnancy until their baby is two, by providing a registered nurse to act as a counselor, educator, mentor and liaison through frequent home visits. Both women unaware of the other, were counseled by the same registered nurse, Gretchen Thaller, from the Nurse Family Partnership. Gretchen was supportive, encouraging and would ask simple questions to open up the young mothers’ minds to possibilities. She provided education and resources, as well as stability, being a constant in their lives and a valuable source of non-judgmental, non-biased advice. Both women learned from their experiences as low income mothers and their involvement in the Nurse Family Partnership Program that a person’s hardships can mold them into a stronger and braver person than they were before. 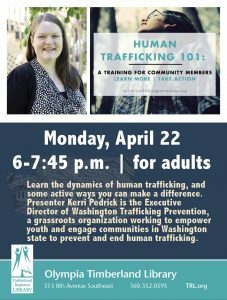 They learned to use their past experiences to help others by being more aware of what others may be going through, showing compassion and working in the community to make a difference. 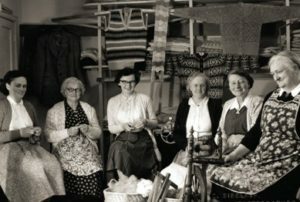 Years later the women separately founded small businesses with the dream of creating self-sufficiency for themselves, using their own talents and skills to provide a service in the community and bring joy to others. 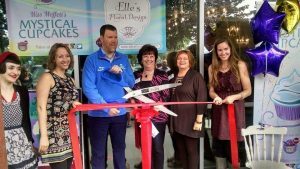 The two small business owners, both passionate about the community and giving back, joined a nonprofit group and giving circle of women, the United Way of Thurston County’s Women’s Leadership Council, where they could bond with like-minded people while taking action toward empowering women and girls. 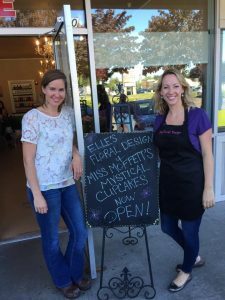 When Rachel Young of Miss Moffett’s Mystical Cupcakes and Michelle LaPraim of Elle’s Floral Design finally met at a Women’s Leadership Council monthly meeting in early 2015, they had no idea they had both been clients of the Nurse Family Partnership program years prior, much less had the same nurse. 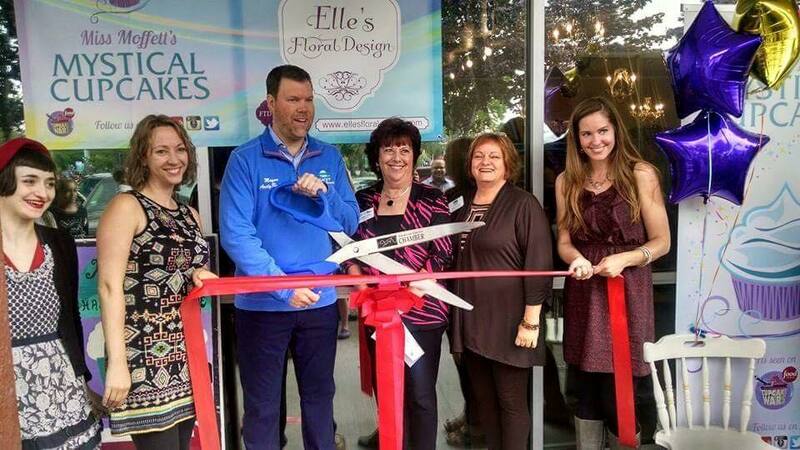 They only knew each other as cupcake shop owner and florist and decided to cross promote each other’s businesses. On a Saturday afternoon in the spring of 2015, Michelle came to Rachel’s downtown Olympia cupcake shop to drop off some of her postcards for a bridal tasting. The nurse they had shared from the Nurse Family Partnership Program years earlier, a frequent customer of both businesses and still a friend to both women, happened to be in the cupcake shop at the same time. Gretchen stopped to say hello to both women. The business owners looked at each other, unaware of each other’s pasts. “How do you know Gretchen?” they each asked. When the truth came to light, both women felt an immediate bond. They felt the magic of their common thread, realizing how their lives had come full circle – they had both been women in need, searching for resources, and all these years later, they had met each other through a group of women who give back to the community and whose mission is to empower women and girls. In addition to being a successful business owner, Rachel Young is also the proud mother of three boys. Photo credit: Shanna Paxton Photography. 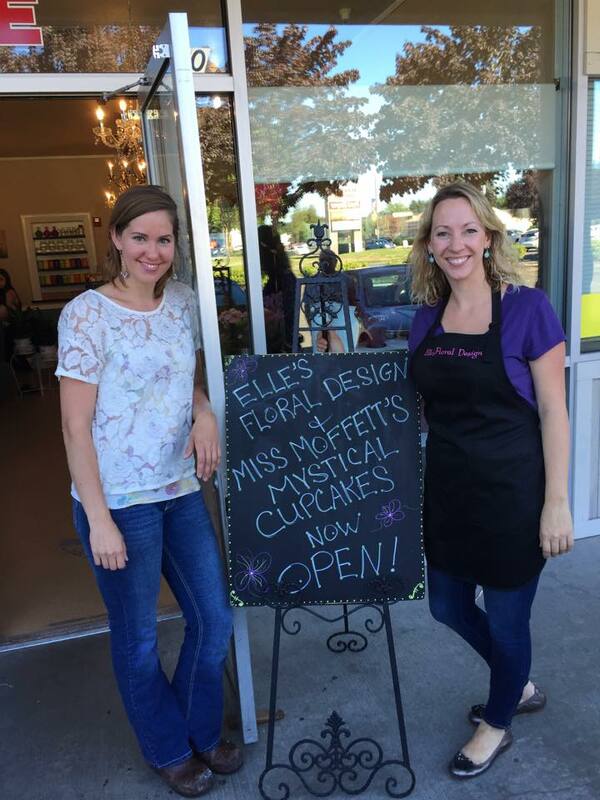 A few months later, in August 2015, Michelle and Rachel opened up a shop together – Elle’s Floral Design and Miss Moffett’s Mystical Cupcakes located in Lacey in the Fred Meyer complex next to Koibito. Together they have a shared mission, not only in their philanthropic activities but also in their business activities, of empowering women. They’ve even hired women from the YWCA’s Economic Empowerment Program and continually act as advocates, leaders and examples for their mission. These two women, both small business owners and single mothers, have turned their adversities into successes, and what’s more, they strive to be role models and catalysts for empowering women everywhere, young and old.